yum yum yum. 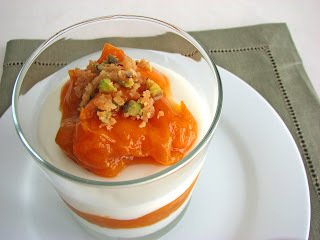 When I lived in DC, one of my favorite restaurants, Zaytinya, had a yogurt and apricot dessert that was soooooo good. This recipe makes my day. This looks lovely. 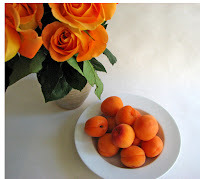 I love apricots and have about 10 pounds of pistachios in my freezer (from my mother). I will have to give this a try. I love recipes that pop up when the fruit is in season. This dessert is lovely to look at, and I'm sure also to eat. This must be luscious to eat. it sounds so wonderful! That looks like something I'd eat for breakfast too! 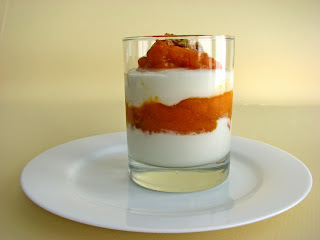 Yogurt mousse and apricots = wonderful! omg this looks delicious. gonna try this, it looks easy to make too. thanks for the recipe. 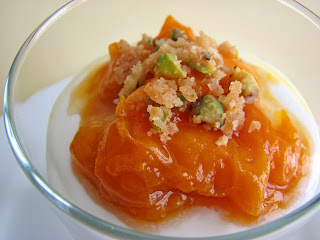 What a lovely yet so easy recipe: I totally adore it! Excellent presentation! !